Section 215 of the Patriot Act is set to expire June 1, and each side in the upcoming battle to renew, reform, or let expire this unconstitutional abridgement of freedoms is rolling out its arguments. When Dollree Mapp answered the door on May 23, 1957, she had no idea of the impact her next move would have on jurisprudence in the United States. At her door were three local police officers who were searching for a suspect in a bombing, and they asked permission to enter her home, having been given information that he might be hiding there. She asked them if they had a search warrant. When they said no, she refused entry. 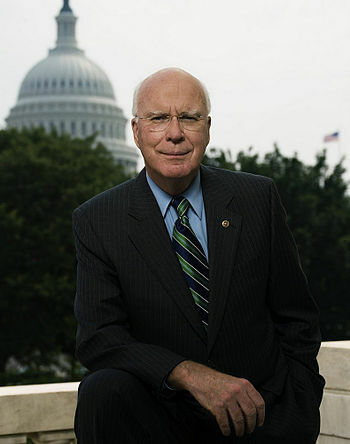 On Tuesday, Senator Patrick Leahy (shown, D-Vt.), Chairman of the Senate Judiciary Committee, introduced his version of the USA Freedom Act intended to strengthen a similar bill passed by the House last May. It’s scarcely an improvement and likely won’t be taken up before November, if at all in this congress. 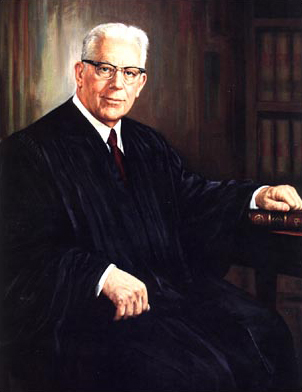 But Leahy was optimistic nonetheless, saying that his bill, if enacted, “would represent the most significant reform of government surveillance authorities since … the USA Patriot Act 13 years ago.” That was easy for this hard-left Democrat to say, as there has been no reform of the unconstitutional Patriot Act since it was passed. In fact, without revelations provided by whistleblower Edward Snowden, even these modest “reforms” would never have been presented. Without Snowden, the NSA would have continued collecting every last piece of communications data it could and storing it for future reference at one or more of its vast collection facilities around the country. Since the bill was presented so late in this Congress, it is virtually certain no action will be taken on it. Following 9/11, the USA Patriot Act … has helped keep Americans safe by ensuring information is shared among those responsible for defending our country and by enhancing the tools the intelligence community needs to identify and track terrorists. But somewhere along the way, the balance between security and privacy was lost…. Washington must regain Americans’ trust in their government. The USA Freedom Act [I am offering] is an essential first step. That first step was more like a stumble. 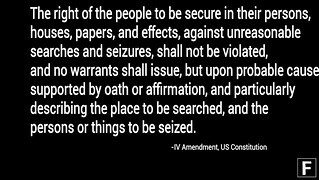 Under the bill, according to The Guardian, “the government will still be able to collect phone data on Americans, pending a judge’s individualized order based on ‘reasonable articulable suspicion’ — the standard preferred by the NSA (National Security Agency) — of wrongdoing.” This is a far cry from the “probable cause” requirement demanded in the Fourth Amendment, but that’s only the beginning. The bill purports to modify Section 715 of the Patriot Act while saying nothing about Section 702, which allows worldwide surveillance by the NSA. The bill allows for the continuous collection of Americans’ telephone records, according to the Open Technology Institute. Most grievously, the bill extended the Patriot Act until December of 2017. Once the House passed its USA Freedom Act, 303 to 121, those opposed, including Republicans Darrell Issa, Ted Poe, and Raul Labrador and Democrat Zoe Lofgren expressed their disappointment with it. Said Lofgren, “[This] bill will actually not end bulk collection, regrettably.” It shifts collection responsibilities from the NSA to the telephone companies to which the NSA has virtually unlimited access, so it’s a cosmetic change only. The bill requires the NSA to get permission from the FISA Court, but FISA is not known for having a high regard for the freedoms protected by the Bill of Rights. The Administration strongly supports … the USA Freedom Act…. The Administration applauds and appreciates the strong bipartisan effort that led to the formulation of this bill, which heeds the President’s call on this important issue. The bill ensures our intelligence and law enforcement professionals have the authorities they need to protect the Nation, while further ensuring that individuals’ privacy is appropriately protected. The Administration and the intelligence community believe they can do whatever they want, regardless of the laws Congress passes, so long as they can convince one of the judges appointed to the secretive Foreign Intelligence Surveillance Court (FISC) to agree. This isn’t the rule of law. This is a coup d’etat. The legislation may not completely end suspicionless surveillance … it allows the NSA to get a second set of records (a second “hop”) with an undefined “direct connection” to the first specific selection term. Because the “direct connection” standard is vague, the government may seek to construe that phrase to mean less than reasonable suspicion. Translation: The NSA, under Leahy’s new stronger, tighter, more restrictive language, may continue to do whatever it pleases in collecting and storing for later use all private communications from Americans. Leahy’s bill will probably never see the light of day in this congress and will have to be reintroduced in the next session if anything is to be done to rein in the NSA’s collection of data. In the meantime, the NSA’s vacuuming of innocent Americans’ private communication continues unabated. The United States government has perfected a technological capability that enables [it] to monitor the messages that go through the air…. That capability at any time could be turned around on the American people, and no American would have any privacy left. Such is their capability to monitor everything: telephone conversations, telegrams, it doesn’t matter. There would be no place to hide. When Glenn Greenwald was looking for a title for his book, what better choice than that? That capability at any time could be turned around on the American people, and no American would have any privacy left. Such is the capability to monitor everything: telephone conversations, telegrams, it doesn’t matter. David Leon Riley was driving through a residential area of San Diego in August of 2009 when he was stopped for having expired license tags on his car. A so-called routine search of his car turned up a couple of handguns whereupon he was arrested. The police took his smartphone and examined it down at the station house, discovering emails, text messages and videos implicating him in a gang-war drive-by shooting two weeks earlier. He was charged with and convicted of shooting at an occupied vehicle, attempted murder, assault with a deadly weapon along with other gang-related crimes and sentenced to 15 years in jail. The Washington Post’s Executive Editor Martin Baron anticipated that there would be strong criticism voiced when those opposed to Edward Snowden’s revelations learned of the Pulitzer Prize Committee’s decision to award its prestigious Public Service award to his paper. He may not have estimated the degree and extent and especially the vitriol of that criticism. The pushback from the Immigration and Customs Enforcement (ICE) agency’s request for bids to build a national database of all license plate data now being collected elsewhere across the country was immediate, and for the moment at least, effective: within a week the agency withdrew its request. Saturday’s revelations by the German newspaper Der Spiegel that the US placed bugs in European Union officials’ offices in New York and Washington and hacked into EU headquarters in Brussels have ignited a firestorm of indignation among German and European officials. Coming on the heels of the FISA court’s ruling in April that Verizon must turn over telephone records to the National Security Agency and Edward Snowden’s exposure in June of PRISM that has been vacuuming up American citizens’ internet communications for years, expressions of outrage were heard from German and European Union politicians. The new rule is: once you express a thought, it’s public. So far, NSA isn’t able to monitor our thinking, but the moment we express ourselves, someone’s watching and taking notes. This article in the Washington Post perfectly misses, perhaps deliberately, the key issue concerning privacy and the role of government. See if you can pick up on it. Daniel Solove is the author, and has all the liberal credentials to promote the establishment line: JD from Yale Law School, is an “expert” on privacy with many books on the matter (some of them best sellers), and has been quoted in such mouthpieces as the New York Times, the Chicago Tribune, ABC, NBC, CBS, CNN and NPR. Not a single citation for anything remotely right of center: Washington Times, National Review, American Spectator, etc. So we now where he is coming from. Hardly a sentient soul on planet Earth doesn’t know who Edward Snowden is, but few of them know of the ramifications and positives that are already coming as a result of his leak about NSA spying on Americans’ emails, voicemails, and IMs.